Check out the different areas that we can offer for your child's future! Olivarez College Tagaytay: dedicated to molding individuals wh o can face the socio-economic challenges of their time while standing firm at the edge of global competitiveness. 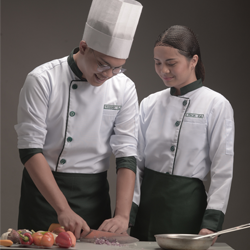 Olivarez College Tagaytay is a private, non-sectarian stock-profit educational institution established in the belief that providing educational opportunities for the masses is the best legacy that a leader can offer to the Filipino nation and to the world.